Spring Break Special-Open March 20-31-Buy 5 Nights Get 1 FREE! 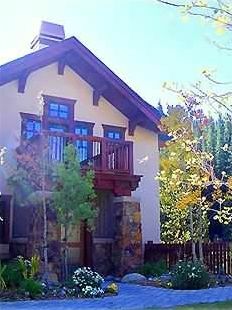 Beautiful, four bedroom townhome in the Union Creek area of Copper Mountain. Heated, underground, parking garage with space for two cars. A five minute walk to the center village for a great choice of many restaurants and shops without ever having to drive anywhere. This townhome has everything you could possibly ask for and more in amenities! Truly one of a kind! This Non-Smoking townhome has the finest in furnishings, from log beds to flat screen surround sound television. Hello, I am Mark Comfort. My wife Mimi and I live in Kansas City and we have owned this wonderful 4 bedroom property for 11 years now, but we have owned property at Copper Mountain for almost 35 years. We love Copper Mountain because of its world class ski mountain first and foremost, but also because it is a smaller European village/ski resort feel. It is quaint, fun, village where almost any restaurant or activity is within a short 5 minute walk from our centrally located townhome. Yet our townhome feels like we are away from it all. We absolutely love the peaceful, quiet, and relaxing setting that we have, especially out on our oversized deck looking up into the mountains with all those gorgeous pine trees. For 30 years Mimi and I have owned two travel agencies, Cruise Holidays of Kansas City and Comfort Tours and Travel and have traveled the world. I have been to 102 countries and on well over 100 ocean cruises and river cruises. When asked what my favorite vacation destination is in the entire world, my answer is always THE COMFORT CONDO IN COPPER MOUNTAIN. There is not a place in the world that Mimi and I can relax, recharge, exercise, shop, spa, or do nothing at all and enjoy it more. Both our kids, Andrea and Spencer, have grown up vacationing with us skiing, hiking, biking, rafting, playing golf and tennis, in Copper Mountain. These memories together as a family with our children and now grandchildren are truly some of our most cherished memories. While I still ski in winter with my kids and grandkids, Mimi most enjoys summer, out of the heat and humidity in the Midwest. We normally now spend two or three weeks every summer here. We call Copper "God's Country". Our Comfort Townhome is so spacious, at 2200 square feet, 3 levels, 4 brooms, 3.5 bathrooms, laundry room, big kitchen and living room and a private underground heated 2 car garage. We just upgraded our private hot tub which 6 adults can enjoy the wonderful hot tub. Why we get so many returning guests, is because of the perfect location to town and to the ski lifts. You can ski to our back door, and walking to the lifts takes only a few minutes and is an easy walk. The ski school in Copper is so good, that this is a perfect place to have your children or any adults learn to ski. Our townhome in summer is as perfect a location as it is in winter. The walking/bike path goes right by our back door. My wife would say her favorite thing about our townhome is the STREAM that runs right by our property. The sound of that river is so soothing and relaxing. Being out on our oversized deck is where we try to spend as much time as possible and the stream is such a blessing to everyone who stays at our townhome. As is the spectacular views up the mountains. We also have a deck off of both our upstairs master bedrooms. Having coffee in the morning waking up to this idyllic setting starts everyday off great. We have had customized log bunk beds made for our two downstairs rooms, one room has a twin/ full bunk bed, and the other uniquely has a full/ queen bunk bed. Mimi and I hope you will get a chance to enjoy our home away from home and our favorite vacation destination in the world. You will love it! Offering a leather sectional and three side chairs. We have a Mr. Coffee Pot and a Keurig. Our property sits directly on a beautiful clear creek.